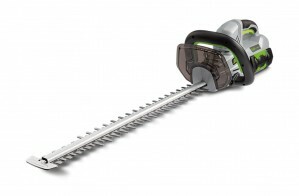 The Husqvarna 226HD75S hedge trimmer is an exceptionally well-balanced and rugged double cutting edge hedge trimmer, petrol powered with a powerful X-Torq® engine. 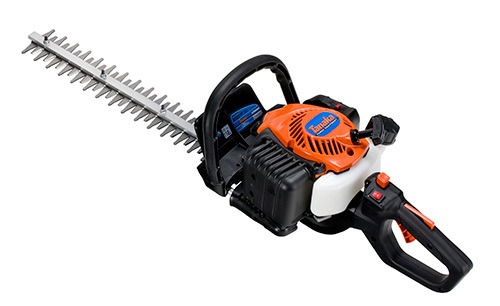 With a robust design, you can rely on a long product life from this heavy duty hedge trimmer even after periods of tough use. 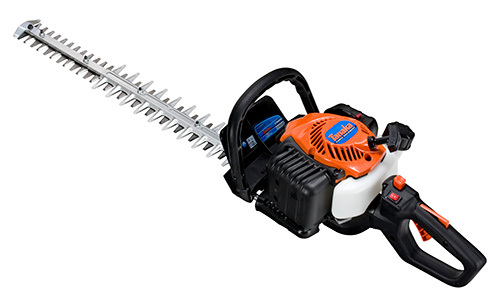 Designed for use with Husqvarnas’ versatile combination trimmers, these hedgetrimmer attachments offer the cutting power required for quick and efficient hedgerow maintenance. This model has been equipped with a 22cc Tanaka Pure Fire engine; an advanced two-stroke unit that delivers its ample power (0.87hp) with reduced emissions and lower fuel-costs when compared to lower-specification engines with similar power ratings. 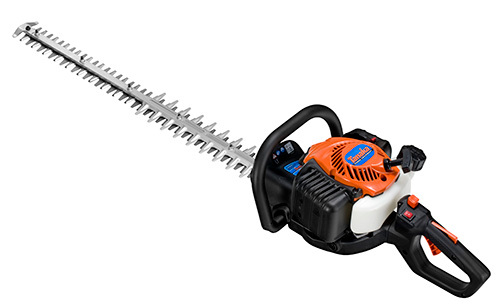 The Tanaka TCH22EBP2 (50) Petrol Hedge Trimmer boasts a set of expansive 50cm double-sided, dual-reciprocating blades that will enable you to cover a substantial hedge in quick-time. A tooth-pitch of 30mm means you’ll be able to trim thick, woody growth without fear of the twisting and chewing that can lead to damage to the hedge, while a 180˚ Quick-Twist™ rear-handle makes it possible to achieve the optimum angle of attack; and also facilitates comfortable left-handed operation. 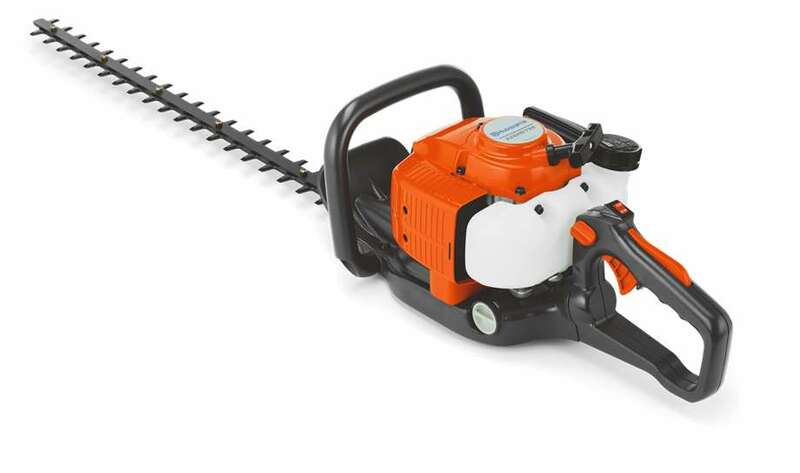 This model has been equipped with a 22cc Tanaka PureFire engine; an advanced two-stroke unit that delivers its ample power (0.87hp) with reduced emissions and lower fuel-costs when compared to lower-specifications engines with similar power ratings. Tanaka's S-start technology works to minimise decompression and starter-rope resistance, so smooth, low-effort starting is assured; while their provision of a capacious 0.3 litre fuel tank ensures long operating times between each break for refuelling. 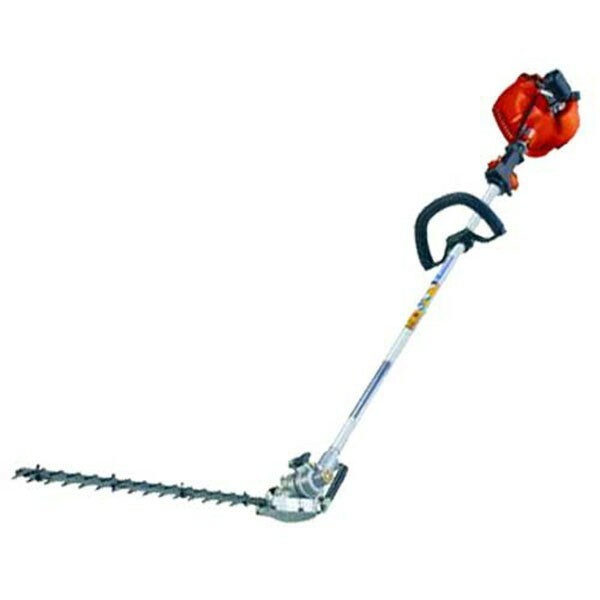 This model also features a front mounted exhaust, so heat and gas is directed well away from the users face for a more pleasant working experience. Designed for use as both a hedgetrimmer and a brush cutter, the Tanaka Pole Hedgetrimmer TPH 230S is an extremely versatile tool. Its lightweight design makes it ideal for day-in-day-out commercial use, while Tanaka’s ‘S-start’ system ensures smooth engine starting and reduces the required pulling force by up to 50 percent. Its precision gear case creates a total angle of 135˚ - an angle of 90˚ downwards is useful for trimming hedge tops up to nine feet high, and an angle of 45˚ upwards allows for use as a brush cutter. Features Tanaka's revolutionary S-start easy starting system (This machine can be started with your finger and thumb first time every time) 27cc, 1.3/5 Hp Two-Stroke Engine features two piston rings and a stress relieved, chrome plated cylinder for longer engine life. Padded, Anti-Vibration D Handle provides comfort and added manoeuvrability. Articulating / Pivoting Blades allow you to select any cutting angle from -90 to +45 degrees (135 degrees total). 22", Double-Sided, Dual Reciprocating Blades provide excellent cutting speed and powerful cutting action.